Courses – Individual Tuition : Adam offers one-to-one tuition for complete beginners or those who have taken one or more classes with Adam or elsewhere. These sessions are usually run on Thursday afternoons, Friday mornings or afternoons. A weekend slot may be available from time to time. One-to-one students will have Adam’s undivided attention and also support from one of Adam’s assistants, so progress is fast and the results can be spectacular! Sometimes, an individual session is booked so that Adam can help someone make a particular item, either for themselves or as a special gift, which he is happy to do. 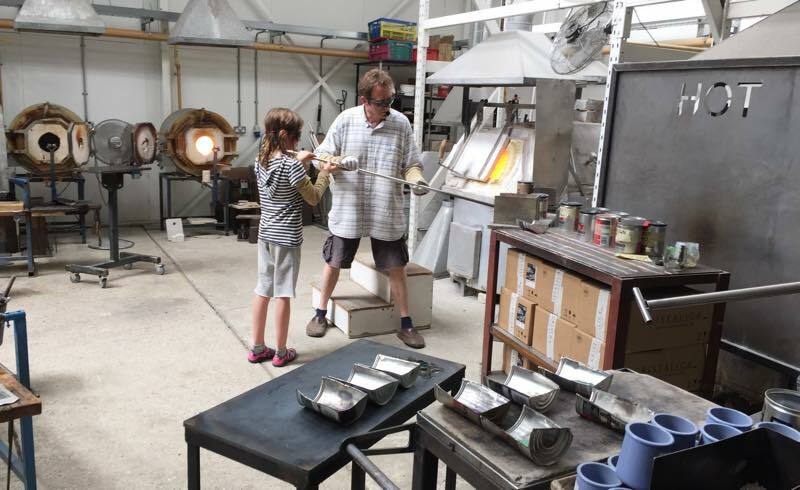 One-to-one tuition is also suitable for children from age 11 and young people who fall beneath the 18-year-old age limit required to join one of our regular half-day Introduction to Glassblowing courses. In this instance, a parent or other responsible adult needs to be present throughout the class, and we recommend shorter sessions, depending on the age of the child. 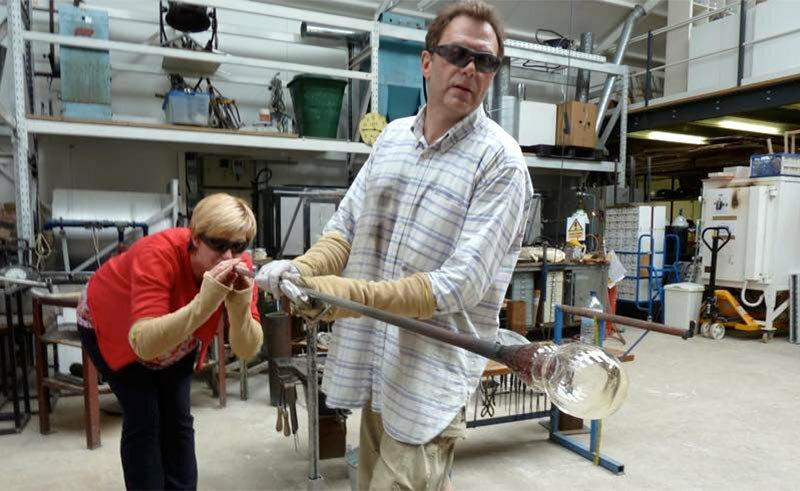 Adam often works with other artists to produce their work. Those sessions are priced on a case by case basis. Please note that these rates are for tuition and experiences only. Where Adam works with other artists to produce their work, those sessions are priced on a case by case basis. One-to-one tuition is not available for online purchase. Please call Adam to discuss your requirements and options.